I awakened this morning realizing the horrid truth that I am an affront to identity political fears. Of all my sins, probably my most egregious is that I am a male. Not just male but also heterosexual. Well, I may as well admit to my further crimes, I am white as well. At least I do not fit the final box on the White, Male, Heterosexual privilege chart, I am not a true WASP as I am not Protestant. But as it turns out, I may be in an even worse category; I am a Jew, and not just a Jew but a Zionist and conservative Jew. I may as well admit it as it has cost me dearly in the past making me a pariah in more than one Synagogue across the fruited plains and both coasts as well. But I am even worse than the run of the mill White, Male, Heterosexual, Conservative, Religious and pro-Israel individual, I am proud of my guilt because I know that there is no real guilt to be had. The only true sin I have committed is not having any difficulty owning up to my presumed guilt and will gladly profess my preferences before my accusers. Of course this simply infuriates them further as they only gain advantage when people like me act ashamed and defensive to their accusations. Me, I simply revel in them and laughingly watch as those who would greedily stand pointing out my guilt over my groveling and writhing body on my face and begging forgiveness as they haughtily instruct me that I must confess my sins. They cannot utilize someone who refuses to beg and instead stands proudly before them stating that sure I am exactly what you accuse me of being, so what! That is the wrong stance and they are used to people that apologize for their sins, not reveling in them and using the identities as a badge of honor that it should be and not a sash of shame. I will not eat humble pie nor will I claim to be sorry for my accomplishments as I earned each and every one and none were simply given to me because of my so-called privilege. You see I refuse to play by the rulebook of Identity Politics. This book states that in order to win every argument one only need accuse the other side of committing some unforgivable sin. The person is white or male or heterosexual or conservative or belongs to any group which can be cast as a majority, well, except being male as men are actually a minority. Their rules are to hit any sensitive spot where they can accuse you of being one of the deadly privileged kinds of personhood and if no prime example exists, then they just throw accusations until they hit a nerve. 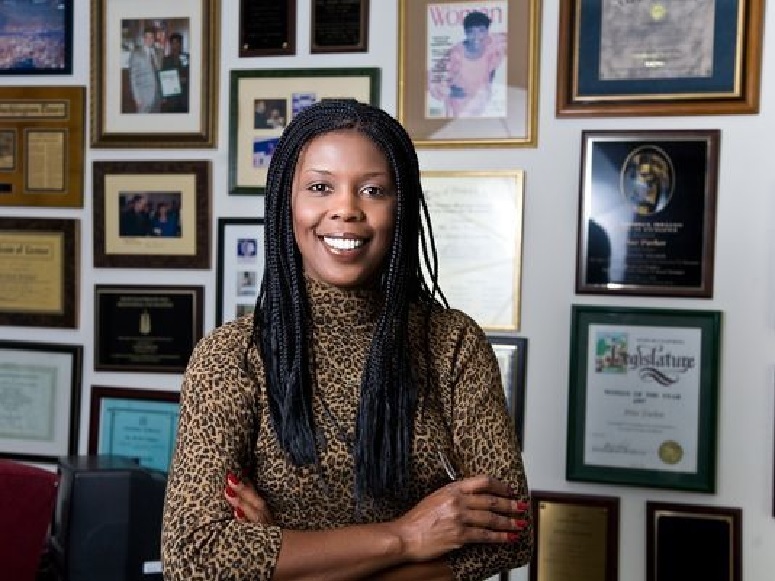 The accusations start with the obvious but let us say their adversary is someone such as Star Parker who is an American syndicated columnist, Republican politician, conservative political activist, author and very attractive (see below). Her disqualifying identity is that she is famous and even more unapologetic than I. They would strike her for being a known conservative and a Republican and those would be the last words they manage before she would tear them apart piece by piece. That is a side effect of proud and informed conservatives; we usually are not at a loss for words. But even those of us who are capable of giving as good as we get, if not better, is that we are defenseless against the current dilemma, the massive attacks such as are showing at Republican politicians’ town hall meetings. Protesters exploded in anger after a chaplain prayed in the name of Jesus at a town hall meeting in Louisiana hosted by U.S. Sen. Bill Cassidy. They did just as decent, or should we say indecent, a job heckling at a decorated Viet Nam veteran when he attempted to recite the Pledge of Allegiance. The hecklers shouted things such as, “Pray on your own time. This is our time,” and “Amen. Let’s get on with it,” while others insisted, “Separation of church and state” and so on and so forth. Chaplain Sprague told the media, “I’ve never been shouted down throughout a time of prayer like that,” adding “I’ve never been in a situation like that. It’s sad there wasn’t honor and respect for God.” Cassidy said in remarks reported by the Times-Picayune, “Wow, they booed the name of Jesus.” Some mentioned that they were suspicious as to the origin of these disrupters as they claimed people from their area would never have acted in such a manner. Our sense was it had been noted that there were numerous vehicles which arrived early with out of state license plates which we found to be suspicious explaining why the event had been hijacked with some of the locals betting that the disrupters were likely paid for their disruptive and disgusting performances. Their providers likely should be happy as it appears they got their money’s worth. This has been the recent explosion across the width and breadth of the United States at numerous conservative town hall meetings held by Republicans. These have been in concert with the events we spoke of in our article from yesterday titled, “The Left and Their Dream with the Shadow Government” where there have been concerted rioting taking place in major liberal cities and college campuses with many locations security personnel and police instructed to stand back and allow the “demonstrators” space to express themselves. In an event not too long ago where Milo Yiannopoulos was invited to give a performance or something at the University of California Berkley Campus where because he was perceived as a conservative speaker, he is more libertarian than conservative, there was a riot staged with the campus police instructed not to interfere resulting in over one-hundred-thousand-dollars damages to the campus before everything calmed. He was denied speaking so their actions were rewarded and this will serve Berkley, the birthplace back in the 1960’s of free speech, poorly and probably just serve to encourage a much larger disruption the next time anybody considered controversial is invited by anybody to appear. All of these actions have been far from amusing and have served to reinforce that my making Aliyah was the correct action even though my doing so had nothing to do with American political scene, it was the result of a promise made to myself when I was quite young, nine to be exact. My wife probably would have preferred my informing her of this little item before we were married and the look on her face when I announced we were moving to Israel one evening in passing as if it was simply another casual remark. Her reaction was less than casual and in the end we made the trip and it has made us both quite happy to be here. She still holds dearly to her Americanism and the politics are a sort of interest though she does not dwell politics quite as I do. She spends more time socializing and having events with other ladies and groups, often dragging me along (well, not always dragging as I do enjoy many events and am going to pay for admitting this). Perhaps we can take less of a panicked look at events in the United States, at least far more relaxed than our friends still back there, especially those residing near and about the nation’s capital. That space allows for a more unattached review where things do not strike us as if it were right outside. For that we have our own set of political and other possibilities which take center stage over the events in America, as they should. Still, we at BTC still need to stay up to date on events back in the United States in order to write on them, so we still know and react to events, just do not need to worry if the demonstrations will be coming down our street or block our way to the store or wherever. As stated, for that we have our own difficulties from time to time. Roderick Balfour decided to correct his forebearers horrific error of permitting the Jews to have a homeland as long as they allowed for the existing residents to retain religious, civil, property and all other rights with the exception of political rights which would be reserved for the Jews and those whom they decided to permit political rights either individually or as a group. Roderick Balfour has claimed that the reason behind the growing anti-Semitism is the lack of Israel in finding a solution to the Palestinian conflict. Apparently Broderick Balfour believes that Israel could simply impose a solution without the entire world exploding in raucous demands that Israel negotiate before reaching any agreement as the Palestinians must be permitted their input in any solution. Even were Israel to allow for the maximalist solution and destroy the literally hundreds of thousands of Israelis homes and businesses including those in East Jerusalem and returned to within the Green Line and recognize the areas beyond the Green Line as Palestine the problem would be anything but solved nor would the world accept this as a fair solution despite the generous granting of what the world currently claims is the maximalist demand. As soon as this solution would be enacted Mahmoud Abbas would be in New York, Turtle Bay to be exact, before the General Assembly of the United Nations denouncing the audacity of Israel imposing a solution on the Palestinian Arabs which is wholly unacceptable. Then he would ask what is to be done with the eight million Palestinian refugees including the millions re-exiled from Syria because of Israel not recognizing their right to return and live in and around Tel Aviv. The world would then take up the demand that Israel allow eight million Arabs to be resettled within Israel and forcing Israel to grant them full citizenship and then hold an election so they could elect Mahmoud Abbas as Prime Minister of Israel, and that would be the result of such an eventuality. The world would see nothing wrong with such a result as it would fulfill one of what appears to be a main desire of the world as a whole, the elimination of Israel and the eradication or complete subjugation of the Jewish people. If the United Nations could through the General Assembly make one religion a crime it would be Judaism. You doubt that claim but let us not forget the United Nations General Assembly Resolution 3379 where they voted seventy-two approving, thirty-five against and thirty-two abstained declaring amongst other things, Zionism is a form of racism and racial discrimination. 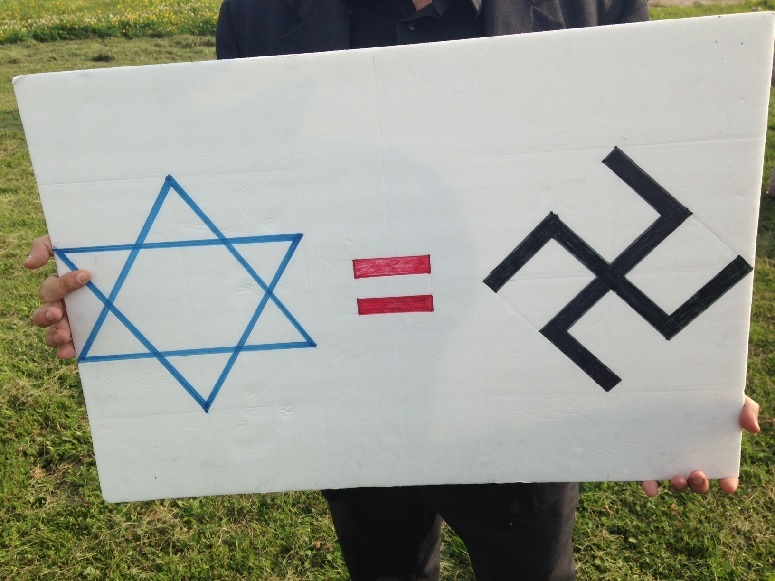 That vote is all too close to that United Nations General Assembly declaration which chose the nationalist movement supporting Israel, Zionism, as a form of racism is equivalent to Israeli policies being the cause of people having antagonistic feelings to Jews simply because they are perceived to support Israel thus are suspected of Zionism and thus deserving of scorn. Here is the reality which so few ever address, the problem with solving the Palestinian Arab problem lies with the Palestinian Arab leadership who refuse to even negotiate. What is even more revealing is the reason why they refuse to negotiate, they are rewarded for refusing to even negotiate, let alone reach an agreement. 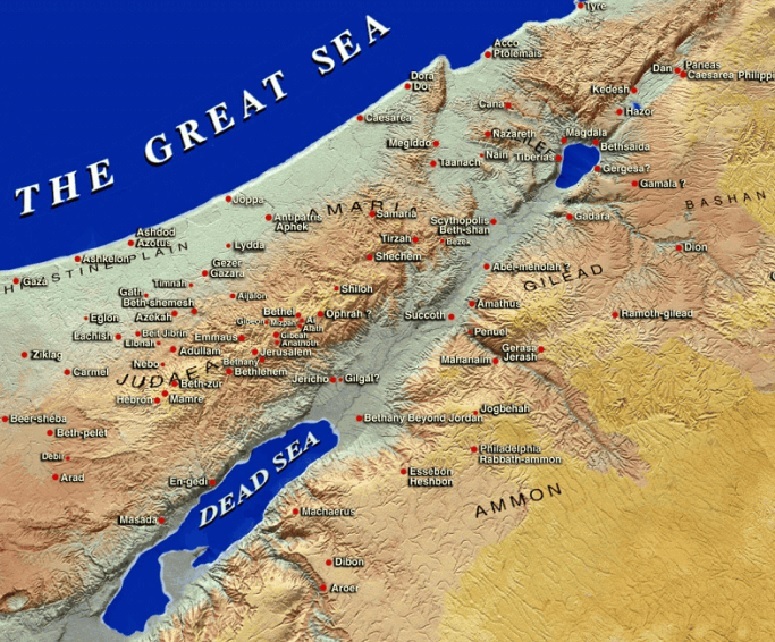 The original Oslo Accords divided the regions of Judea and Samaria into three sections depending on their likelihood for development and residence. Area A was dedicated to Palestinian Arab political and security control. Area B was left to Palestinian Arab political control and mutual Israeli and Palestinian Arab security control. Area C was given to Israeli political and security control. The intent was that Area A would remain under Palestinian Arab control, Area C would remain under Israeli control and the negotiations would be over where to draw the lines in Area B. By refusing to settle and then even to negotiate the world had rewarded the Palestinian Arabs with now demanding that Israel surrender most if not all of Area A, B and C and give away half of Jerusalem and forcing over three-quarters of a million Israelis to resettle destroying their homes and, for many, their places of work as well as where numbers of Arabs also work. And the fact that as time has passed the world had sided with the Palestinian Arabs and demanded more than the international agreement demanded from the Israelis. Israel lost any part of Area B they might have received in negotiations and all of Area C which the original Oslo Accords would have awarded Israel. But additionally the world had rewarded Mahmoud Abbas, his family members, the top members of his monopoly on power with millions, tens of millions and for the elite hundreds of millions of dollars and continues to do so year after year, month after month. The world spends more on each Palestinian refugee each year than they do on some whole groups of refugees. Further, Palestinian refugee status is the sole group of refugees whose status is passed on from one generation to the next. If a Palestinian refugee were to marry a Hawaiian and had three children who each married, one to a Parisian, one to a New Yorker and the last to a Brazilian and each of those couples had three children, how many Palestinians would that have at the end? The answer is seventeen Palestinian Arabs refugees, the original refugee, the person they married gets refugee status, each of the three children, the three people they marries and all nine children from those marriages. If that makes no sense, imagine the same thing with a Haitian refugee and the end count with the same mathematics and you end up with one Haitian refugee. Yes, that did not help much. All the world’s refugees except the Palestinian Arab refugees are cared for by the United Nations High Commissioner for Refugees (UNHCR), also known as the UN Refugee Agency. The Palestinian Arab refugees are cared for by the United Nations Relief and Works Agency for Palestine Refugees in the Near East (UNRWA). They are the sole group to have their own refugee agency. According to the figures for 2014 UNRWA received $1,342,180,849 to cover just over five million refugees which provides per refugee just over two-hundred-fifty dollars while UNHCR $3,055,908,219 to cover just over sixteen million refugees which provides per refugee just under one-hundred-ninety dollars. Despite this and the fact that the Palestinian Authority, the governing body responsible for governing all aspects of the Palestinian Arab refugees in Judea and Samaria, receives additional hundreds of millions if not billions per year from the European Union, United States, individual European nations, numerous Arab nations every year resulting in far greater available funds for these refugees. Additionally, there are some of the largest Palestinian Arab refugee camps located within Gaza which is governed by Hamas, a Palestinian Arab group recognized by most as a refugee entity, though that has become debatable in much of Europe and another few located in areas under Palestinian Authority governance. The difference between these refugees and the presumed Palestinian Arabs, who are also technically under United Nations definitions, also refugees are, well, which side of the barbed wire and which are permitted freedom of movement and which are restrained at gunpoint. Mahmoud Abbas and his security forces enforce a difference between the Palestinian Arab refugees residing inside the barbed wire and the Palestinian Arab refugees residing outside the barbed wire for one reason only, the ones located inside the barbed wire are left from when Jordan held the region illegally after the 1948 war with Israel and are denoted to be relocated within Israel. This makes them a form of weapon against Israel so that no matter what Israel does, as long as Israel remains the homeland for the Jewish People, then Israel has not sacrificed enough. Israel cannot resolve the Palestinian Arab conflict simply because the problem is not the fact that there are Arab refugees but that there is a Jewish State. The Arabs decided back in the Khartoum Resolution of 1967 and the Three No’s; NO peace with Israel, NO recognition of Israel, NO negotiations with Israel. Please explain exactly how Israel can resolve the problem under these conditions, and Mahmoud Abbas has assured the Arab World that he will abide by the spirit of these restrictions and will never settle for anything less than the complete destruction of the Jewish State and the Jews either scattered to the far corners of the world or exterminated. This was the promise made originally by Yasser Arafat and has been continued by his understudy, Mahmoud Abbas. This is why the Arab refugees are still held in camps. What is interesting is when Kuwait deported every last single Palestinian worker after Yasser Arafat supported Saddam Hussein during the first Iraq War after he conquered Kuwait and upon their liberation by the United States and their coalition. There has been no additional outrage when Bashir al-Assad shelled the Palestinian Refugee camps within Syria, did you even know there were Palestinian refugee camps in Syria and that they were shelled? Assad actually shelled them before any other location simply because he figured they would oppose him naturally and why not simply make sure such could not happen. We do not really know the why al-Assad decided to bomb and shell the camps before anywhere else including areas where he knew that his opposition was located. Why was there no anger throughout the world and Resolutions from the United Nations General Assembly against Kuwait or Syria over the Palestinian Refugees? Perhaps because they were not Israel? If you doubt that as the reason, well, hate to burst your bubble but that is exactly why there was no world reaction. As for Roderick Balfour and his claim that Israeli politics is responsible for growing world anti-Semitism, well, that is about as true as claiming that Canadian politics is responsible for people denigrating Canadians or Putin’s intervention in Syria is responsible for anti-Cossack feelings. Roderick Balfour ends by stating his unwillingness to participate in the Centenary Celebration of the Balfour Declaration unless Israel takes unilateral action to end the conflict. One wonders if Israel took the only unilateral measure which is within her power to end the conflict would pass Roderick Balfour’s sensibilities, unilaterally deporting the Palestinian Arabs to Syria or whoever else might take them.